The children have been enjoying the Grouchy Ladybug story so with all of their excitement with the book we had to make our own grouchy ladybugs. Here is a creative writing sheet that we will be using this week. 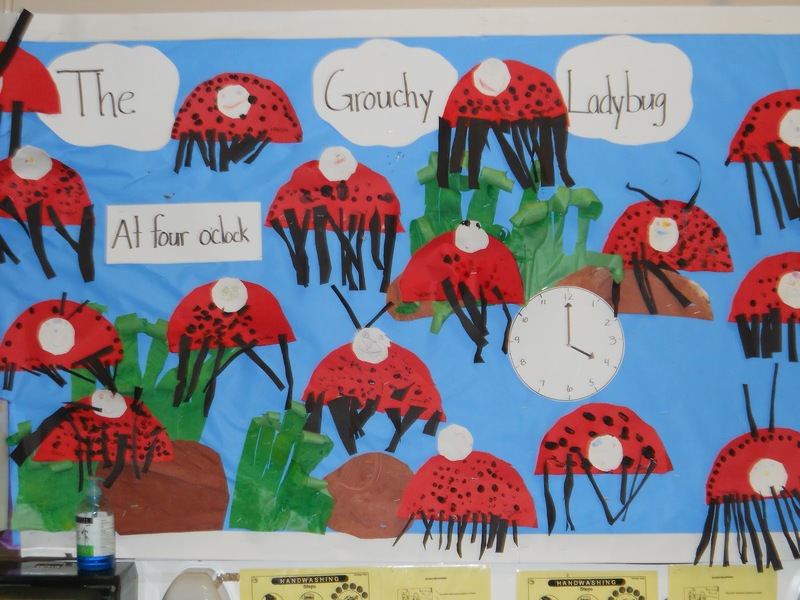 Children will mark the clock to a time by drawing arrows on the clock and then they will draw a picture of the grouchy ladybug and what it came to. Children can draw a picture of any animal it does not have to be one from the book. You can download the art project template and creative write sheet below.